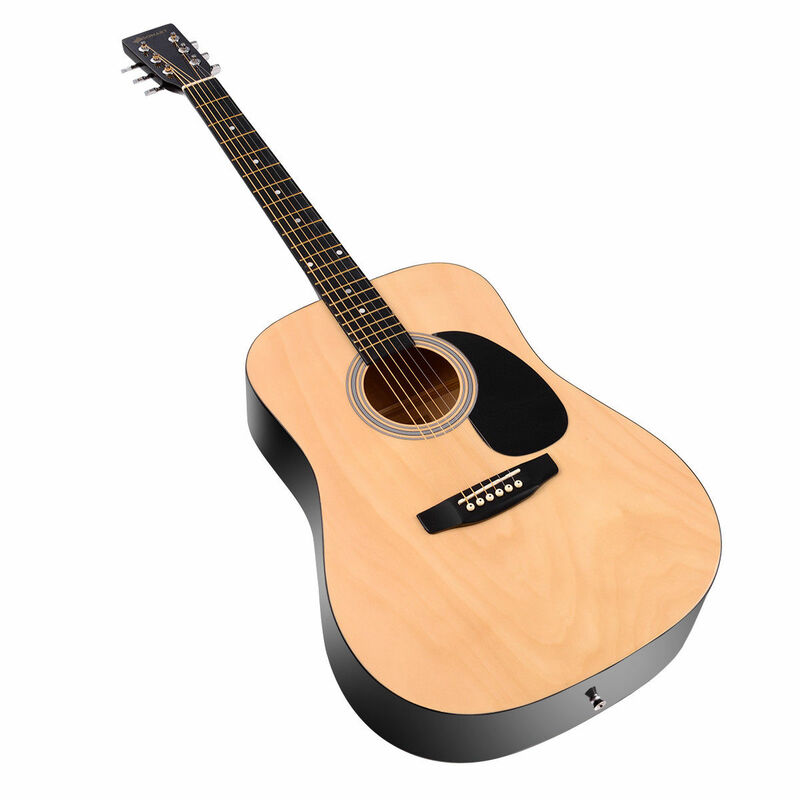 This is our 41” acoustic folk guitar with wooden construction, steel strings, and a glossy smooth finish. It’s really a great choice for beginners to practice and play favorite tunes. In addition, this guitar comes with a nylon case, a shoulder strap, a pick and an extra set of strings for replacement. This acoustic guitar set is perfect as a gift and does not require assembly. A great value for the money! Come buy it and start your new music journey! Perfect for guitar lessons, recitals, band rehearsals, on-stage performances, etc. Note: the color of the pick is random.